The new generation of Levelmaster is named H8 and is the successor of the well-known CALM system. Level gauging using the electro-pneumatic principle, so called ‘bubble measuring’, has always been known as a very robust and reliable method. Kockum Sonics now release its fourth generation of the electro-pneumatic system concept. We have combined the latest and best sensors and microprocessors in order to produce an electro-pneumatic system that combines low cost and very high performance. 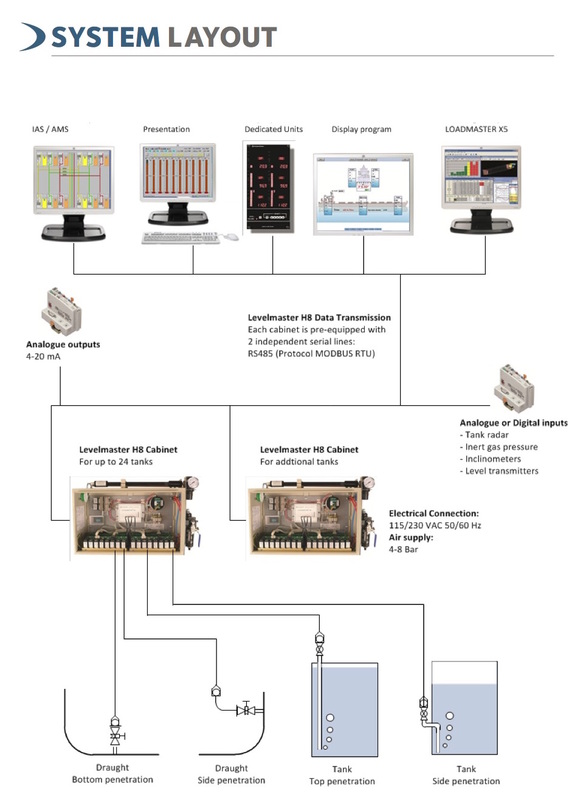 Levelmaster is a flexible level gauging system that works with any pressure, level or temperature transmitter as well as with any automation system. The system is approved by all the major classification societies. Levelmaster is one of the most precise and flexible electro pneumatic level gauging systems available. - LEVELMASTER is robust, precise and reliable. - LEVELMASTER can be used for all types of measurements, inclusive draft, void spaces, high level alarm, inert gas pressure, density etc. 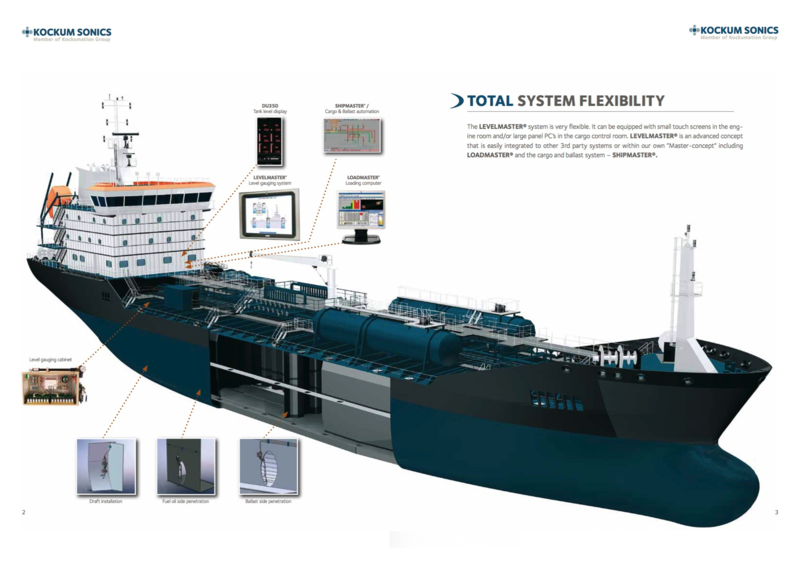 - The system makes all sensors, type of tanks and void spaces compatible to each other. - No electrical installations in the exclusion zone.